Boxing has shot itself in the foot yet again. As referee Luis Pabon stepped in to stop the fight in the third round, you could sense that the sport knew. They have one last chance to save themselves and regain some credibility. Last night, there were wins for two of the biggest personalities in boxing. 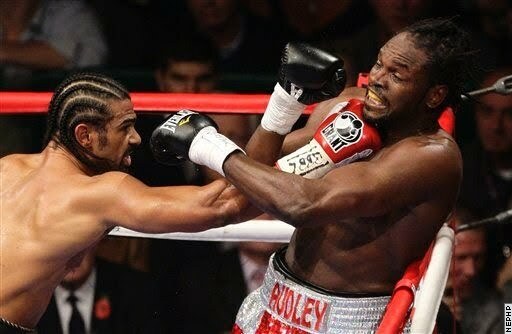 In Manchester, David Haye crushed Audley Harrison, stopping him in the third round. 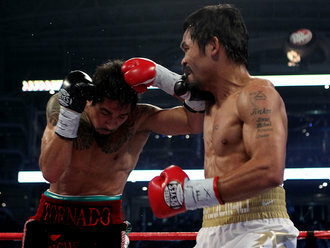 Across the ocean, Manny Pacquiao put on a master-class to win all twelve rounds against Antonio Margarito. However, there are only two fights that boxing fans really want to see involving those two men. Unfortunately, who knows whether we will ever see them? David Haye has claimed all along that he wants to unify the heavyweight division. That he wants to restore credibility to the division by beating the best. However, since winning the title from Nikolay Valuev, he has fought John Ruiz and Audley Harrison. Whilst he is a good talker outside the ring, Audley Harrison should never have been anywhere near a title shot. He was simply there for the payday. Various boxing promoters have echoed these sentiments. “I never changed my views that Haye would win within three rounds. I don’t think Harrison should have been allowed to fight.” The words of Frank Maloney, a British boxing promoter. After all the hype, the fight itself was a bitter disappointment. Neither boxer landed a single punch in the first round, leading to the crowd booing the fight within the opening two minutes. The second round was no better. Harrison landed one jab, whilst Haye connected with a couple of weak shots. The booing continued. And it was all over in the third. Haye was simply too fast and too powerful for Harrison. It begs the question of why the fight was even made. It is difficult to avoid the thought that it was simply made to make the two fighters some money. 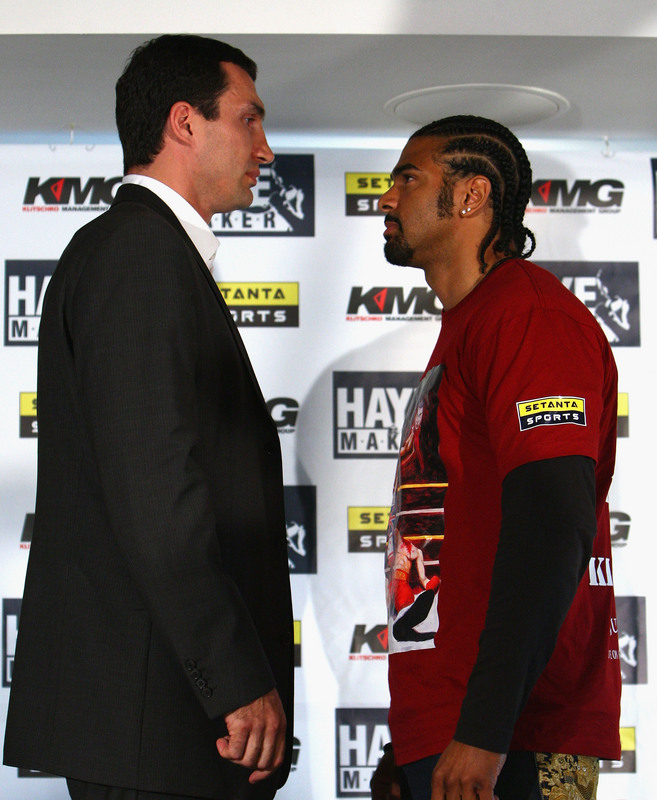 David Haye must now manage to agree terms to fight one of the Klitschko brothers. There is simply no other fighter that he could put on a credible fight with. Yet, this has been the case for over a year now. Each side claims that the other is trying to avoid them. However, they need to sit down and do whatever it takes to make the fight happen. If not for each other, for the credibility of their sport. Bernd Bonte, the manager of the Klitschko brothers, has today said they would be willing to fight Haye if all money from the fight is split 50-50. He has also said there would be any form of rematch clause. Supposedly the Klitschkos want Haye and Haye wants the Klitschkos. So stop the verbals and get the contract signed. Across the Atlantic, Manny Pacquiao once again demonstrated why many believe him to be the best pound-for-pound fighter in the world. He was magnificent in demolishing a good fighter in Antonio Margarito, leaving the Mexican a bloody mess by the time the final bell rang. Whatever your views on whether Margarito should even be allowed to fight any more after his previous antics is another matter, but he stood no chance against the sheer class of Pacquiao. As for Haye, there is only one opponent left for Manny Pacquiao – the undefeated Floyd Mayweather. For a few glorious weeks earlier this year, we thought the super-fight of the decade was on. However, it was only another false dawn for a sport that desperately needs something to boost its image. If they cannot somehow agree terms to fight each other, it is likely that we may have seen the end of Manny Pacquiao. Having recently been voted into Parliament in the Philippines, Pacquiao has often said that this would be his last fight. However, he would surely not retire if Mayweather was the final option. Manny's promoter, Bob Arum, has today stated that fixing Pacquiao v Mayweather is his top priority. However, as with Haye, we have heard it all before. They need to stop talking the talk, and start walking the walk. Stop talking about signing the fight and just get it signed. Whichever way you look at it, boxing lost a lot of credibility last night. For years, boxers have been accused of protecting their records by ducking the big unification fights. Fans don’t want to see their favourites simply beating up on someone who shouldn’t be in the ring with them. Boxing fans want to see the best fighting the best. And this is why boxing desperately needs a Haye v Klitschko fight. And this is why boxing desperately needs the Pacquiao v Mayweather fight. Anything other than these and boxing fans may begin to desert the sport.